Members of the Unmanned Aerial Squadron, with guidance from adult volunteers and staff, learn to build and fly recreational multirotor drones and promote an understanding of the concepts, uses, and practices of drones. The members meet weekly to study current regulations, practice flight techniques, and perfect manipulation of the controls. The club is fully sanctioned by the Academy of Model Aeronautics (AMA) and is competing in a the regional drone competition in April. The mission of the competition is to “encourage students to explore the drone phenomenon through teamwork, competition, and success through STEM.” The club completely relies on the funding by sponsors and student fundraising opportunities. The term “drone” in the context refers to small Unmanned Aerial Systems (sUAS) as referenced by the FAA. 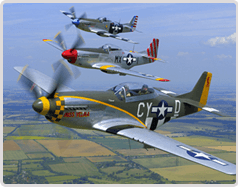 Please check back for more information or contact rfloyd@flysnf.org with questions or sponsorship opportunities. The Lakeland Aero Club is a not for profit high school flying club that teaches students how to fly and restore antique airplanes. Members of the club have the ability to receive hands on experience in any aspect of aviation they so desire. 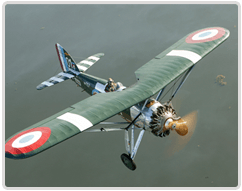 Membership is available to any High School or College student within the ages of fourteen and twenty-four, who express an interest in aviation, are of good moral character, and are academically achieving. Members of the Lakeland Aero Club are primarily responsible for maintaining the club’s aircraft, maintaining the club’s facility, and maintaining the club’s reputation. Members have the ability to participate in club activities as little or as often as they choose; however, members are encouraged to be involved as much as possible. 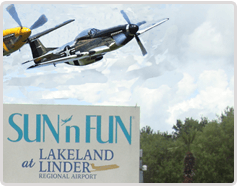 The Lakeland Aero Club exists to provide an opportunity for local youth to get involved and make a future in aviation. The club has flown their own aircraft to AirVenture in Oshkosh, WI 5 years in a row as well as other regional Fly-Ins including the Triple Tree Fly-In in Woodruff S. C.
The mission of the Lakeland Aero Club is to provide opportunities for today’s youth with hands on experience in restoring, maintaining, and flying antique general aviation airplanes, all to aid in Making Tomorrow’s Greatest Aviator’s, Today! The Polk State Aviators is a student activities group at Polk State College. They also are part of a competitive flight team. Students from all Polk State Aerospace program tracks are welcome, as are any students enrolled at Polk State who have an interest in aviation. Please visit the group’s Facebook page or contact the group’s academic adviser, Dr. Ryan Wallace, at rwallace@polk.edu. Membership in the Aviators is limited to Polk State students in good standing with the College.